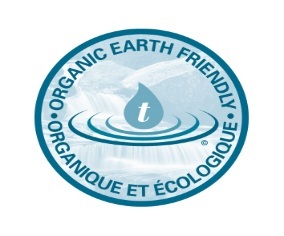 Usage Instructions – Telamode Canada Inc.
SEPTA-FLUSH & tela-BLAST are organic products that contain friendly bacteria. Instead of “pickling” the wastes in holding tanks as the chemical holding tank products do, SEPTA-FLUSH & tela-BLAST break up and start digesting solid wastes and paper. When a tank is dumped, wastes have started breaking down and will finish breaking down naturally in any sewer system. Chemical holding tank products are designed to KILL all bacterial activity in holding tanks. When chemically treated wastes are dumped, they inhibit or kill all action in the campground/park sewer system. Because SEPTA-FLUSH is a bacterial product, it is used a bit differently than chemical holding tank products. Tanks should be completely dumped and thoroughly rinsed with water before adding SEPTA-FLUSH for the first time. SEPTA-FLUSH will be more effective after the third tank full has been dumped because of the residual chemical that is still there. SEPTA-FLUSH can be used in both gray and black water tanks. When treating holding tanks with SEPTA-FLUSH, the correct dosages are one tablespoon (half fill scoop provided in each jar) for black water tanks and ½ a tablespoon in the gray water tank. It is also important to add 2 to 3 gallons (8 to 12 ltrs) of water to the black water tank for SEPTA-FLUSH to work correctly. If the tanks will not be used for a while after dumping, SEPTA-FLUSH should not be added until the tanks are in use. Also if the unit is stationary, this becomes even more important because the liquid is not being sloshed about the tank, as it would be if the unit was traveling down the road. If odours persist or return simply add more water. SEPTA-FLUSH should not be used in conjunction with chemical holding tank products. Cleaning products flushed into the holding tank can also affect the performance of SEPTA-FLUSH. Tela-Blast, our liquid holding tank additive gives you instant odour control. When treating holding tanks with Tela-Blast the correct dosages are 150ml/4oz for black water tanks and gray water tanks. Add approximately 4ltr/4qt of water. Tela-Blast can also be used for deodorizing and cleaning toilet bowls and bathrooms (instead of chemical cleaners) to help maintain and not kill bacterial action. Just dilute 4:1 for cleaning toilets. Use either a bottle fitted with a spray head Spray urinals and toilet bowls and the area around them and let sit. The longer our products work the better the results. Spray shower stalls, sink and any surface you wish to clean, except mirrors, with the same solution. Wipe everything down except toilets and urinals, those you want to save till last. If the sink now needs additional cleaning, use a mild abrasive such as baking soda. Harsher cleaning products should only be used if absolutely necessary. Lemon juice and vinegar will also remove some stains. After cleaning all but the toilets and urinals, mop the floors. Don’t forget to clean those garbage cans that come in and out of the RV as they are germ carriers. The Tela-Clean is a bit different than conventional cleaners...you spray and walk away then come back and mop the surface you are cleaning. Tela-Clean builds a wall on the surface so the more you use Tela-Clean the more the grime, dirt, soap will easily mop off when cleaning and rinsed. Tela-Clean digests mold etc. organic only on the surface and inhibits, digests cell grow or spread of germs. Just MIST the surface after cleaning and walk away… this lets Tela-Clean Multipurpose Cleaner continue to clean. Tela-Clean continues to work for you…. You do not need any special gear to use it, gloves etc.. Tela-Clean is biological, Organic Earth Friendly and will not cause any breathing problems etc. In other words you can sleep with it as chemical does not linger when used. Tela-Clean can also be used to clean the hose and pipe in the wall behind the washing machine. Just mix 1/4 cup with water to a 1/4 cup of Tela-Clean and poured down the black hose in the wall. This will digest all the lint and soap build up that can close off the main drain pipe into the septic tank. The parks in the south love the Tela-Clean for black streaks and build-up on their vinyl fencing etc.. If Tela-Clean drips onto the ground it will not kill grass flowers or harm animals that are in contact with the cleaner. To save money, just keep your 1 quart/litre bottle along with the spray nozzle and reorder a refillable 1 gallon jug. Tela-Clean multi-purpose cleaner is also sold in a 5 gallon pail with a spout. For maintenance, pour ½ cup of the product into your various bathroom toilets and drains last thing at night. Use every three months or when needed (at least once a year) into different drains in your home. This should be done last thing at night. Please allow this to sit in the pipes overnight with little usage of the system. This will help to digest whatever organic materials that may be clogging your pipes. (ie. Hair, food, lint, etc) Do not forget to pour at least ½ cup of TELA-CHEM down the back of the washing machine drain out in the wall. Right away, after the initial application of TELA-CHEM, you will start regular usage of our septic and drain field cleaner RC-4. For initial treatment use a full bag or immediately after pumping. For regular usage, put ½ a bag of RC-4 down one of your toilets each month last thing at night. Please rotate in which toilet you are applying the product to ensure that your pipes from each are cleaned on a regular basis. For 2 people you will only need 1/3 a bag per month. For a family of more than 4, you will need to use one full bag of RC-4 on the same monthly basis. By using our products in this way, you ensure the maximum life of your drain field and septic system. Pumping is also required every 5-6 years rather than every 2-3. When the system is pumped out please add 1 full bag of RC-4 immediately to ensure proper bacterial levels are maintained in the tank for waste digestion. SYSTEM SHOULD IDEALLY BE PUMPED BEFORE USE IF NOT PUMPED WITHIN THREE TO FOUR YEARS. MIX 1 BAG OF TELA-MS7 WITH A 5 GALLON PAIL UNTIL IT BECOMES A SLUDGE-LIKE SUBSTANCE. POUR DIRECTLY INTO TANK. It is suggested that you have an Experienced Pumping Company open your Septic System due to the dangers of the gases. TELA-CHEM DRAINLINE CLEANER (WITHOUT ANYTHING MIXED IN IT) MAY ALSO BE POURED DIRECTLY DOWN VARIOUS DRAINS LAST NIGHT. This will keep the drains clean of waste and gases coming back into the house. DO NOT FORGET TO TREAT THE WASHING MACHINE DRAIN WHERE THE BLACK HOSE GOES INTO THE WALL. APPROXIMATELY 1 LITER OF TELA-CHEM PER DRAIN. PLEASE ALLOW MIXTURE TO SIT IN PIPES OVERNIGHT. THIS WILL DIGEST HAIR, SOAP SCUM, FOOD PARTICLES, AND GREASE ETC. IN YOUR DRAINS. TELA-CHEM WILL ALSO CLEAN THE BLACK BUILD-UP ADHERED TO YOUR DRAINS FROM THE MINERALS IN YOUR WATER. IT WILL ALLOW THE BACTERIA TO DIGEST WHAT IS IN THE SEPTIC SYSTEM AND FLOW INTO THE DRAINFIELD. TELA-CHEM WILL DIGEST WHAT IS IN THE DRAINLINES & DRAINFIELD AND ADD NUTRIENTS TO THE DRAINFIELD, REJUVENATING TO PROLONGING THE LIFE OF THE DRAINFIELD. TELA-CHEM USED ON A REGULAR BASIS WILL CONTROL THE PH LEVEL IN THE DRAINFIELD AND RESTORE NATURAL ELASTICITY AND HEALTH TO THE GROUND. FOR A FAMILY OF 4 OR MORE FOLLOW UP USAGE WITH 1 BAG/FULL BAG EACH MONTH. FOLLOW-UP BY FLUSHING ½ BAG ONCE A MONTH AGAIN LAST THING AT NIGHT DIVIDED BETWEEN TOILETS IF YOU HAVE A SECOND OR THIRD WASHROOM. REGULAR USAGE ON A SYSTEM THAT IS 7 YEARS OLD OR MORE WILL ENSURE A CLEANER SEPTIC SYSTEM AND DRAINFIELD. TELA-CHEM AND RC-4 DIGESTER COMPLEMENT THE PERFORMANCE OF BOTH PRODUCTS. IT IS STILL RECOMMENDED YOU HAVE YOUR TANK PUMPED EVERY 5 TO 6 YEARS. HOUSEHOLDS ADD 1 FULL BAG OF RC-4 IMMEDIATELY WHEN THE SYSTEM IS PUMPED OUT TO ENSURE PROPER BACTERIAL LEVELS ARE MAINTAINED IN THE TANK FOR WASTE DIGESTION. IF YOU HAVE ANY FURTHER QUESTIONS, PLEASE DO NOT HESITATE TO PHONE. PLEASE NOTE THAT ALL OF TELAMODE’S PRODUCTS ARE CERTIFIED BY ENVIRONMENT CANADA. If you have any further questions please do not hesitate to phone. Thank you for choosing TELAMODE’S fine products.